Through out history, artists have participated in the trading of miniature artworks with one another or for things such as room and board, goods or just to exchange a piece among fellow art friends. These tiny works are called an ATC which stands for “Artist Trading Cards”. ATCs are artworks created in the standard 2.5 x 3.5 inch size or the same size as a standard playing card or a baseball card. There are no other guidelines as to how these cards are created other than the size. 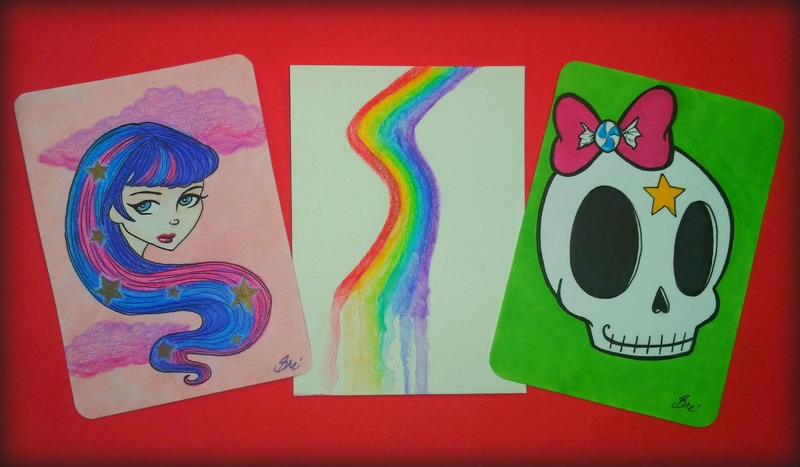 ATCs can be made from a variety of art papers, whether it be watercolor, bristol board, illustration board, metal, or wood, just as long as it is the specified size. The type of media used to create the art is also just as open too. Anything from pencil, pen, paint, ink, collage, clay, textile or metal can be used to make the art. After the popularity of these items began to take over, artists began to make their mini art pieces available for sale to the public as either an original piece or a limited edition print. These were coined ACEOs or “Art Card Originals and Editions.” These tiny works are very popular and may be found in online stores such as Ebay and Etsy or on artist websites. The cost of these small works are generally very cheap, making it more affordable to anyone on any budget. Because these cards are the same size as a traditional baseball card, they can also be collected and stored in the same plastic sleeves and collector binders as well. You can also mat and frame them too. 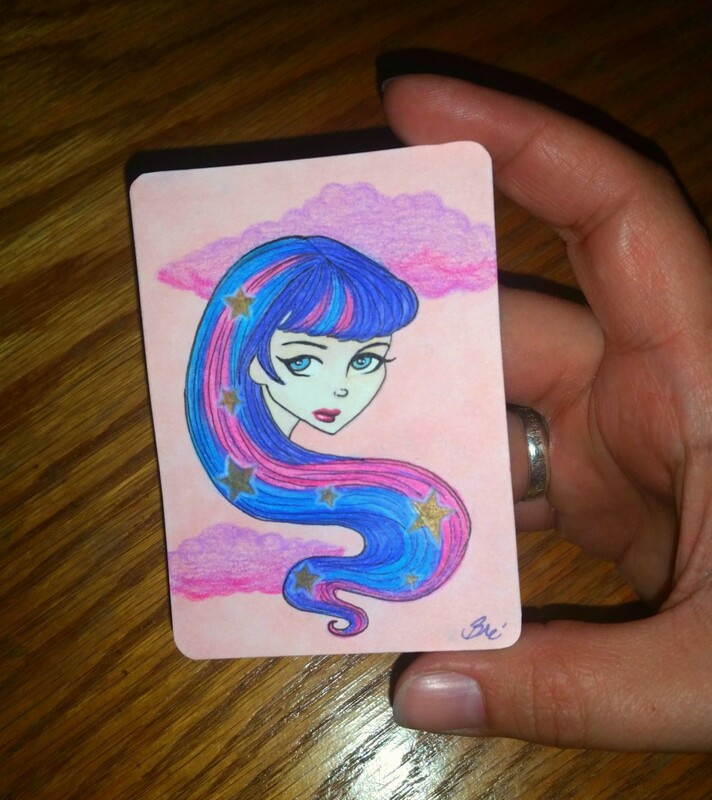 I just recently began creating ACEO pieces myself and I have to say, the size is something to consider. There are both positive and negative aspects of the size requirement for my personal art because I generally work from 5 x 7 inches up to 2 x 3 feet paintings or even murals. I have to learn to simplify my art and work much smaller, but the plus side to that is this makes for much quicker production. So far I have rather enjoyed creating ACEOs because it is a way for me to get in a lot of practice and also find ways to trade art within my online art community. I would highly suggest trying to make some of these cute little artworks and see for yourself just how easy it is to make art even if you have little time to be creative.